ZIMBABWE – Pricing in Zimbabwe is at least four times higher compared to other competitive markets as most companies have overpriced models, a business executive has said. Speaking on the sidelines of the Mandel CEO Network Business Game Changer Seminar in Harare yesterday, former CEO of Delta Corporation Joe Mutizwa said most companies were using overpriced models. “One of the biggest things I see today is that most companies have overpriced models. Prices in Zimbabwe are probably four or five times what they are in competitive markets. 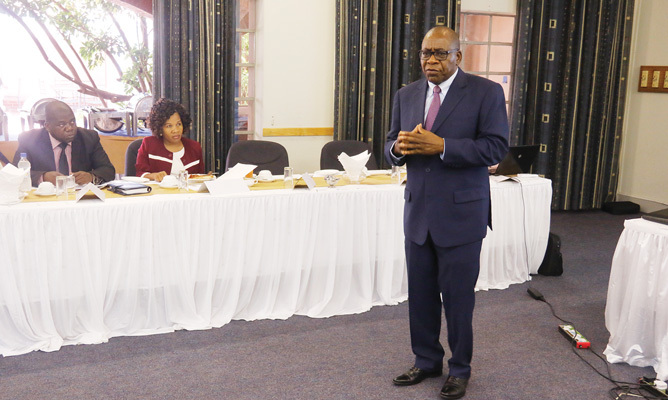 Many people are clinging to business models that emphasise high margins,” Mutizwa said. The seminar was attended by CEOs of different companies in the country to discuss ways in which they can better improve their businesses to profitable levels. Mutizwa said current CEOs should review their pricing models in order to remain profitable in the economy. “CEOs play an extremely important role in the economy, not just in their companies. A lot of CEOs might be overwhelmed by what is happening, but the challenge for the CEO is to look ahead that even if there is economic decline now, the company must prepare itself for competition that is coming tomorrow because it is inevitable,” said Mutizwa, who is also the founder of JSM Strategic Pathways consultancy firm.